Most organisations that implement maintenance planning and scheduling do not achieve the long-term results they expected. Often the improvements don’t last, even when the initial implementation seemed successful. But, it doesn’t have to be like that. This article outlines a structured, proven approach that has worked in many organisations. An approach using basic project management principles. Combined with a strong focus on change management. Sure, you can implement planning & scheduling with sheer will power. You can do it without change management or project management. But the results you get are not sustainable. What you put in place will be reliant on a few strong individuals in the organisation. As soon as some of these individuals leave or move on to new roles the process falls apart. And you lose most if not all your gains. I’ve seen it time and again. And it’s such a waste of your efforts. Without a structured project management approach your implementation of planning & scheduling will fail – sooner or later. And without a focus on change management or engaging stakeholders you will fail too. You will get stuck due to resistance. Stakeholders that could have been on your side become blockers. As a result, you end up with a lot of re-work or having to restart your implementation. You don’t want to be doing that, it’s hard and it’s frustrating. In big organisations, a project management approach is essential to success. But, even in small organisations a project management approach will increase your chance of success. It will help to keep you on track. It will make sure you don’t skip essential steps. And it helps with sustaining the changes you’ve made. 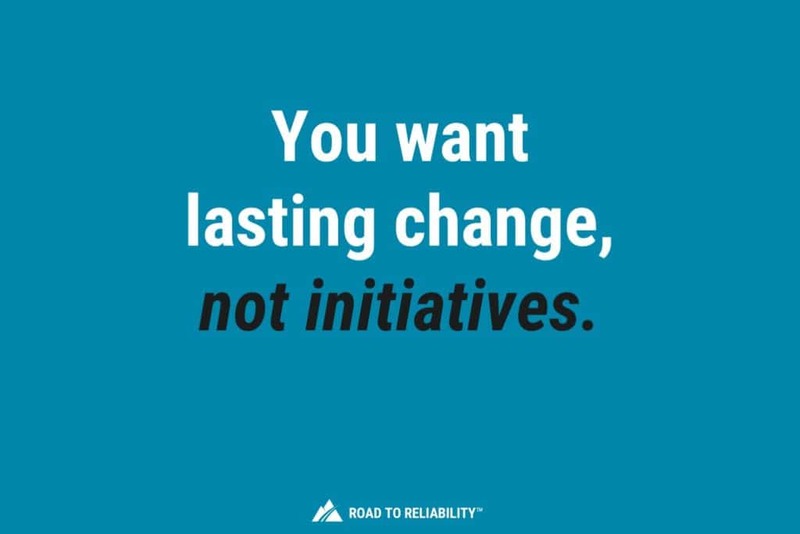 Remember, you want to lasting change not another initiative. Phase 1: Setup – the setup phase is all about ensuring you are setup for success. That you have leadership support and resources are in place. That you have built a clear case for change. That you identified key stakeholders and put an initial communications plan in place. Phase 2: Define – in this phase you analyse the current situation. What’s called the “As Is” after which you map out the desired end state. The so-called “To Be”. Phase 3: Develop – based on our “To Be” you define in detail your new process, roles and responsibilities. You make the necessary changes in supporting systems (e.g. your CMMS). And you develop the training and coaching programs. Phase 4: Implement – this is where the rubber hits the road. You engage the organisation. You train and coach your staff until the new process has become the way work gets done. Phase 5: Close Out – with the change implemented, you conduct an assessment to ensure that the planning & scheduling process will stand the test of time. And improve rather than unravel when you step back. You identify lessons learned and develop a plan to sustain the change. Phase 6: Sustain – Making a change is easy, making it stick is a lot harder. At the end of your implementation, you need to put in place practices that will help you sustain what you’ve implemented. Think performance indicators and annual process reviews. I recommend that at the end of each Phase you conduct a formal progress review with your (leadership) sponsor. This review is to make sure that everything that should have been done has been done. Getting it right first time is key to your success. Change efforts have low success rates, no matter what industry or which discipline. Implementing change often leads to failure. Many surveys and studies suggest that up to 70% of change efforts fail to meet their objectives. Many sources attribute these failures to poor management of people issues. The so-called ‘soft issues’. There are two problems with these soft issues. The first is that most people managing change in the maintenance & reliability space are often not in tune with ‘soft’ issues. But you can learn to deal with soft issues. The second and a much bigger problem is that soft issues can be hard to measure or predict. They differ from change project to change project. Soft issues are very dependent on the organisation undergoing the change. And the nature of the change. Trying to identify soft issues upfront or during an implementation is tough. And there are few reliable frameworks or tools to help you do so consistently. So, what to do? Well, in the past I’ve successfully used a framework developed by the Boston Consulting Group (BCG). A framework called ‘DICE’. You see, the Boston Consulting Group did extensive research to determine what works when implementing change. Not surprisingly as successfully implementing change is core to any management consultancy’s business. But interestingly, BCG’s research concluded that four ‘hard’ factors are key to successfully implementing change. More so than ‘soft’ issues. Duration of the change program. Or if it’s a long-term change, the duration between milestone reviews. Integrity, which in the BCG approach is all about having the right skills on board. Commitment from both the top management and those affected by the change. Effort above the normal workload. And these are all factors you can identify upfront and address as you progress. This is something you can actually work with. The framework is well described in a 2005 article in the Harvard Business Review titled “The Hard Side of Change Management”. I will also cover ‘DICE’ and other practical change management tools in detail in future training courses. So when it comes to implementing change, whether it’s planning & scheduling or something else, adopt a framework like ‘DICE’. This helps you stay on top of your change program at all times. Have a very clear case for change and communicate it often and well. Communicate more than seems necessary. The old advice to communicate every key message 7 times in 7 different ways is sound. Just do it. Actively listen to those who are making the change. And even more so to those affected by the change – your success depends on it. Expect and plan for resistance. Be very clear what the benefits are of the change both for your organisation as well as individuals impacted by the change. And be firm – once you have leadership support in place make clear that this is the direction the organisation is taking. If someone does not want to be part of the journey, they may well need to get off the bus. This setup phase is all about ensuring you’re setup for success. That you have leadership support and resources are in place. That you have developed a clear case for change. That you have identified and engaged all key stakeholders. And that you have an initial communications plan is in place. 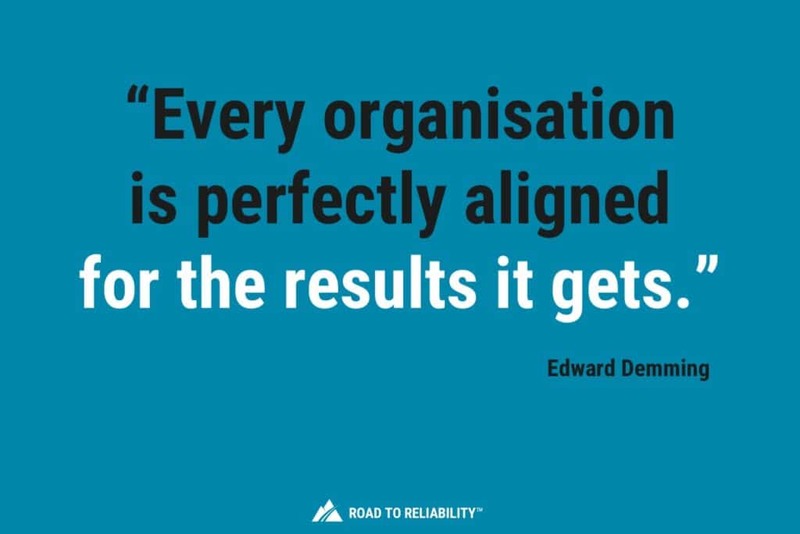 Remember the Demming quote “Every organisation is perfectly aligned for the results it gets.” This also applies here. Getting leadership on board is the most important step in this phase. It’s key to your success and something you will need to pay a lot of attention to during the setup phase. Don’t assume that just because this is the right thing to do that you have or which will get leadership support. You need to sell it to them as I explained in my article How to Sell Planning and Scheduling to Your CEO. You need to identify all stakeholders that can influence the success of Planning & Scheduling in your organisation. And for each of them determine whether they are a supporter or a blocker. The best way to find this out is to simply talk to them. Face to face if it’s possible. After you’ve talked to all your stakeholders, analyse their positions. Determine how you will engage potential blockers and ask supporters to help you. Develop a detailed communications strategy with specific messages for specific stakeholders. Have more general communication ready to engage the organisation as a whole. At this point you should have enough insight to determine which Leader would make your best Project Sponsor. It should be someone with enough authority to help you resolve any major blockers. It should be someone who sees the value planning & scheduling will bring to your organisation. and which leader will be your Project Sponsor. Get this leader to sign the Project Charter before it is shared with the organisation. I strongly recommend forming a small Steering Committee consisting of your Project Sponsor and key line managers. People like the Operations Manager, Maintenance Manager or the Engineering Manager. The Steering Committee should be your sounding board. They sign off on major decisions and help you address road blocks when you hit them. Conduct short and crisp monthly progress meetings with your Steering Committee. And hold formal Milestone Reviews at the end of each Phase. At Milestone Reviews the Steering Committee should challenge you to show that everything is in place for the next Phase. This brings commitment and ownership. Plus, it ensures that the delivery team does not avoid certain tasks. We’ve seen people avoid stakeholder mapping early in their implementation only to later regret it when their overall delivery was at risk. Don’t do this. Use formal Milestone Reviews to avoid these kinds of problems. One of the key things you need to do in the Setup Phase is to baseline current performance. It will help you later on to quantify the value of what you’ve delivered. If you don’t have planning and scheduling in place you may not be tracking any relevant metrics to use as a baseline. In this case you should at least establish your baseline wrench time (productivity). I can’t go into the details of how to use these tools here, but I do in my (future) Maintenance Planning and Scheduling course. Before you complete Phase 1 one of the key things to consider is your coaching capability. Do you have people in your organisation that can act as coaches following the initial training phase? Or do you need to engage external coaches for a period of time? Don’t make the mistake of skipping on the coaching phase as that will doom your implementation. Coach selection is key to your success. And you need to look more at coaching capabilities than detailed technical know-how. The latter can be much easier trained and developed than coaching capability. The second phase is all about analysing your current situation. About identifying the problems you currently face in the execution of your maintenance. After which you not only agree how to fix those problems, but also how to embed best practices in your new planning & scheduling process. Once that’s done you need to map out this new process in detail. There is a structured process called “AS IS – TO BE” that I like to use for this. You typically do this in a facilitated workshop environment. Get a group together that represent all parts of your maintenance execution process. People who work in that process every day and therefore completely understand what really happens. Include a couple of key managers or supervisors. And get representatives from support processes like procurement, finance and the warehouse. How does work get initiated? Where do you get critical information like technical drawings or equipment manuals? How do you get materials? How do you treat stock versus once-off purchases? Do you expedite materials? Or track their ETA? How do you call off services? How do you initiate the request and purchase order? When you do isolate the equipment? How do you deal with (special) tools? How do you decide what work gets done when? Do you run a weekly schedule? How do you reschedule work that wasn’t completed? How do you deal with rework? How does technical history get entered? How do you trigger payment of invoices for services? How do you return materials to the warehouse? Who reviews the technical history? Does the planner get any feedback on his job plan? Map it all out, warts and all. Show all the steps, all the decisions, all the rework. All the forms and paperwork. Make sure you capture all the inefficiencies and make them clearly visible. That way the need to improve and simplify the process becomes self-explanatory. Once you’ve got the AS – IS process up on the wall, get the group to step back. Brainstorm what goes well and what needs improvement. Use different colour post-it notes. Red for improvement and green for things that work well. Put them on the flow chart where they relate to the process. Cluster them and identify key themes that come out. At this point you move away from the AS – IS process. Present the group with an overview of how to execute maintenance using a best practice Planning & Scheduling process. This should be the starting point of your TO – BE process. Get the team to identify the main gaps in the AS – IS compared to the best practices you’ve just talked them through. With the gaps defined spend the rest of the time working through what you need to do to address those gaps. With your new TO – BE process defined you’ll need new roles & responsibilities. So, have a go at fleshing these out whilst you have the team together. Equally important is that you need to identify the gaps in your existing systems and data. Is your CMMS setup to do everything you now need? Does the CMMS support the work request priorities you need? Can you tag work orders by the different stages they’re in? Can you track performance metrics like Schedule Compliance? Do you have a large, aged backlog in your CMMS that’s going to make your planner’s life hard? Do you need to clean this up first? Make sure that at the end of your AS IS – TO BE workshop you bring your Leadership Sponsor in. Walk him through both the AS – IS process, and the TO – BE process. It will help enormously with creating that leadership support you so need. Using the output of your AS IS – TO BE workshop develop a high-level implementation plan. Update your communications plan that you will maintain throughout the project. And make sure you send out some communications around the outcome and success of your AS IS – TO BE workshop. Phase 3 is all about preparing for the delivery phase. In this phase, you need to get all the process maps and supporting documentation ready. Prepare all the training material. Get a detailed communications plan in place. Develop your training schedule. Last but not least, you get your team competent to deliver the required training and coaching. To begin, take your TO – BE process from Phase 2 and develop that into a detailed and well documented process. I like so-called swimlanes. They show in a very intuitive and simple way who does what and when in the process. Make sure that you clearly document what must be done in each process step so there is no doubt whatsoever. Where possible define standard CMMS transactions and screens for everyone to use. With the process documentation compete it is time to develop the training material. You will be training a large group of people. All with different roles and different levels of understanding. Often also with very varying degrees of interest in the process. I find that running a single overview session for everybody followed by role specific training works best. It minimizes ‘down time’. And people don’t have to sit through many days of training with a lot of content that’s not relevant to them. I’ve also seen organisations take everybody through the same multi-day training course. Their primary aim was to get everybody on a level playing field. But that’s a big commitment and can lead to frustration. Both approaches can work. So, choose what fits your organisation and your people best. Irrespective of how you structure your training develop a simple competency matrix. It summarizes what knowledge and skill are required for different roles. You see, a supervisor requires a different level of understanding of planning & scheduling than say an operator does. Making this differentiation helps you to focus your training and coaching efforts where they are most required. At this point you also need look at any major gaps in your CMMS. Do you have the right work order status codes in place? Can you generate the right reports or metrics? Most organisations find at this point that their CMMS is full of backlog. With too much clutter in your CMMS it’s going to be very hard for your planners and schedulers to run an efficient process. So clean up it up. Now, you don’t have to get everything perfect at this point. But make sure you can support the basic planning & scheduling process as you’ve defined it. And from there you can make continuous improvements as you progress. Before your Milestone Review with your Steering Committee update your Communications Plan. Make sure you are 110% ready to start delivering. And be ready to track some simple leading indicators to confirm the right change is happening in the organisation. You see, most organisations focus on indicators like Schedule Compliance or Emergency Work. But experience shows that it can take several weeks before those improve noticeably. So complement these metrics with some temporary indicators that measure the change progress from the get go. and making the right type of decisions. Tracking meeting effectiveness gives a lot of insight into how well your change effort is progressing. Especially when you’re dealing with multiple sites and or multiple shifts. Once meetings become effective your ‘hard’ metrics like Schedule Compliance will soon improve. With this in place identify clear milestones you aim to achieve and by when e.g. Combine milestones like these with the meeting effectiveness scores into a single s-curve. This is a great tool to share progress – or the lack of it! – with your stakeholders and the wider organisation. This is where the rubber hits the road. This is where it gets real. You engage the organisation. You train and coach until you have embedded the new process in the day-to-day work practices. A good practice is to hold a visible, well communicated kick off session. Make sure your Leadership Sponsor and all members of your Steering Committee attend this kick-off. Have them explain why planning & scheduling is critical your organisation’s success. Get them to show their support and commitment. Make sure training is crisp, action focused and targeted. People hate sitting through 3 days of training that they’ll never use. Straight after the training move into the coaching phase. I find that a 3-month coaching period is just right. It offers enough time for the coaches to get to know all people involved. To assess their competence gaps. And to spend time with everyone individually to help close those gaps. Some people get there fast, others can take much longer. But on average three months should give you enough time. If you run a shift system where people are only at site half the time increase the three months to six. 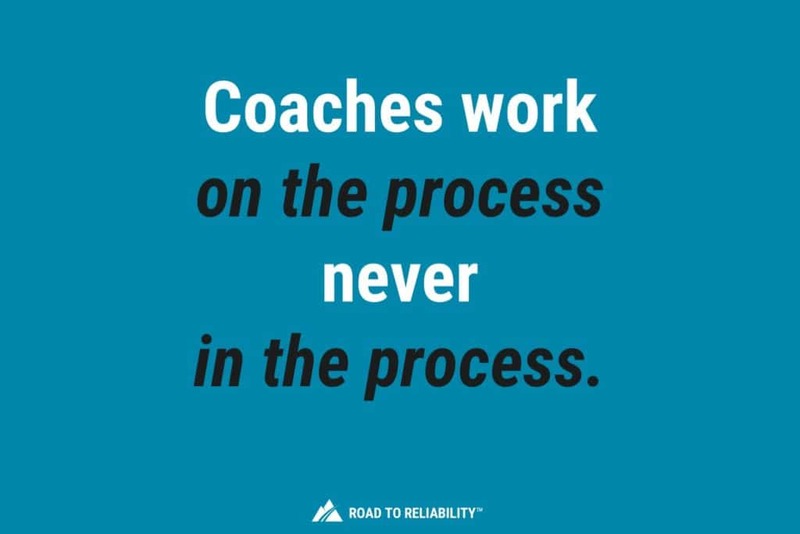 Make sure you never let your coaches work in the process but that they always work on the process. You do not want your coaches sitting behind a PC and raising notifications. Or worse, planning work orders in the CMMS. That leads to disasters. The organisation starts to rely on the coaches doing the work rather than their own people. Handholding is fine, just never ever do the actual work. As you go through your implementation track progress on a weekly basis with the s-curve I discussed in Phase 3. Celebrate some early successes. And consider using some simple awards that drive the right behaviour. Reward schemes are sensitive to culture. So choose something that works for you and your people. Just remember that we all like to be appreciated. Some simple, but visible rewards for the right behaviours go a long way in driving the right change. As you track progress you eventually hit a pre-determined point on your s-curve telling you to remove the coaches from site. From there let the teams run the process 100% themselves. A good practice is to do a Coach Release Audit several weeks beforehand. This really helps to check the organisation is ready to run process without the coaches. But whatever you do, don’t stop tracking progress or performance! As you get to the end of this Phase your focus must shift to ensure the change you created is being sustained. If you see a team slipping back make an early intervention. You need to get the sites to stand on their own two legs. So stimulate them to resolve issues without the coaches if possible. And if necessary return the coaches to site, but only ever for a short period of time. And only to address specific gaps. With the new process implemented you do not just walk away. You need to ensure that the planning & scheduling process will stand the test of time. And continuously improve rather than unravel when you step back. Celebrate the success. If you’ve come this far you’ll have achieved significant change. And you’ll have made a step change in performance. So, be proud of what you’ve achieved. Even if there’s still a long way to go. This is so important yet it is often forgotten. Not celebrating success or thanking people for all their hard work means you take them for granted. Don’t do that. Take the time to say thank you to your people. To say: well done! Identify the lessons learned from the implementation. What went well? What could you have done better? Document these lessons and share them with your Steering Committee. They will be very useful when you come around to implement the next set of improvements. And most important: develop a plan to sustain the gains you’ve made. 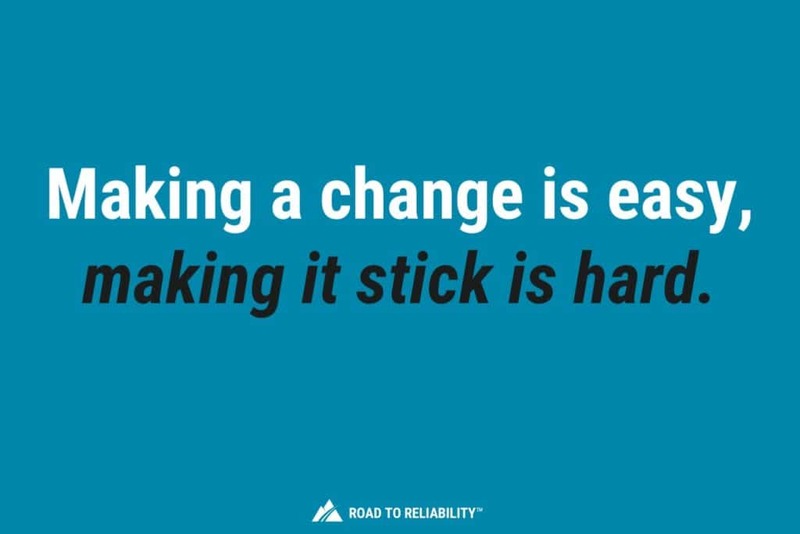 Making a change is easy, making it stick is a lot harder. At the end of your implementation you need to put in place practices that will help you sustain what you’ve implemented. I can’t repeat this often enough. This is exactly why during the Close Out Phase you will have built that Sustain Plan. Now it’s time to execute that plan. Unfortunately, the Sustain Phase never really stops. But as Planning & Scheduling becomes “the way things are done around here” the effort required to sustain and improve it does reduce over time. Make sure you have a comprehensive set of performance metrics in place. Review them in regular meetings. Identify longer term trends. And take action as required. Have clearly defined competence criteria for critical roles. Make sure new staff in those roles get the training and coaching they need to succeed in those roles. Have easy to access and easy to understand documentation in place. And please, keep it up to date. Assign a Process Owner for Planning & Scheduling. Hold your Process Owner accountable for the outcomes of the process. Conduct annual Process Reviews to assess how well the process is working and where the next improvements should take place. Track the completion of the agreed improvements. It isn’t hard to get Planning & Scheduling to work for you. It’s all about common sense. But as is often said “common sense is not common place” and that’s where you come in. Make the change! Have you implemented Maintenance Planning and Scheduling? Leave a comment below to let us know how it went or if there is anything I can do to help. This is a good read and will use it for Implementing Planning and Scheduling. I got this info at the right time as i have been hired to train locals in another continent. Thanks Kelvin, great to hear. Congratulations with your new job. And in case you’re interested in more, I will be launching an online Maintenance Planning & Scheduling course late July. Thanks Erik will keep an eye on that and might recommend yo the client. Kelbin was a typo.My Kelvin Masocha. Thanks Erik for another well written article. Looking forward to the many more to follow. Regarding your online MP&S course, I would be interested in taking this course. Based on your articles I am pursuing the PEMAC course certification. Brilliant piece of information. Really useful, thanks for the book. Excellent article and very well written. I enjoyed reading this very much and have added it to my files of reference material for future use. Keep up the good work! Great work, Sir you explain the most confusion in Maintenance world. Every people don’t make difference between planning ahd scheduling. Excellent and simple approach, definitely will use it on future projects! Very helpful sharing! Thank you very much for great effort! Hi Erik, many thanks for this info, very useful as I’m involved in a WPSE business process rework for a client just now.